So how can we create such robust, innovative, luxury homes in a matter of weeks? Your dwelling is pre-constructed in our controlled factory environment using a unique masonry structure that is then transported and erected by our own contractors onto the foundations which have previously been prepared by our advance crew. The construction uses large pre-constructed brick faced insulated panels. External windows and doors with stone cills are all built at our factory. Removed from the inconsistencies of traditional on site construction this results in a speedy and accurate build with the added benefits of very low air leakage and high thermal mass. Doors and windows are manufactured by Danilith. Our Windows offer a range of standard options. With an eye to reducing on going maintenance, a wood grained UPVC frame is available pre- finished inside and out in a choice of 10 colours. Also available are hardwood frames in Afromosia or Meranti hardwood. All our windows have Argon filled double glazed units. If desired we can also provide Aluminium powder coated windows and doors and fit any of our windows with triple glazing. 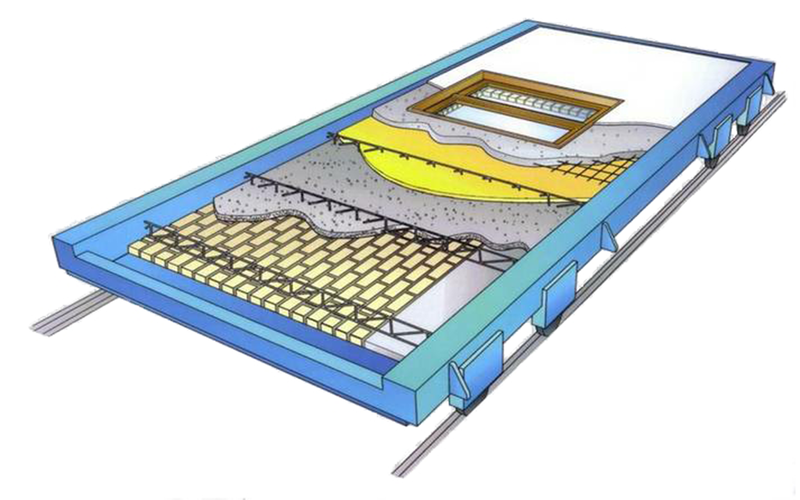 Features such as Dormer windows or Velux roof lights can be pre-installed in our factory manufactured truss roof panels to ensure a quality fit. Eaves, soffits and barge boards are also included and finished in either hardwood or UPVC to your specification. 50mm Bluestone cills at all windows. 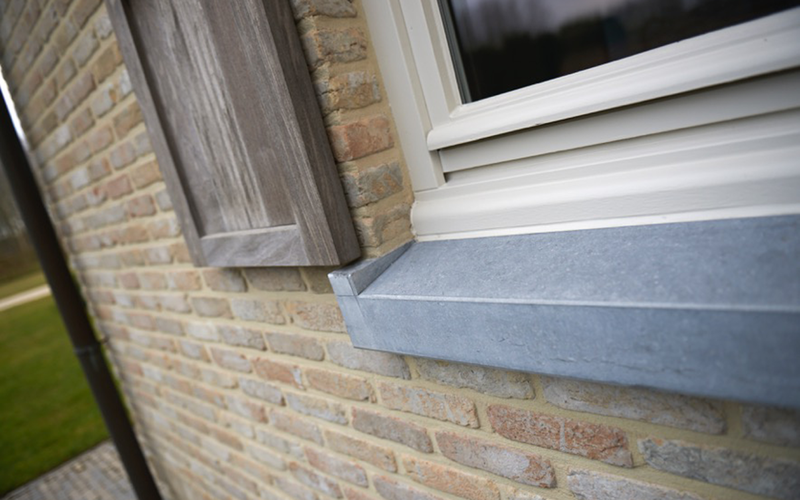 80mm Bluestone thresholds are provided to all external doors. A 200mm Bluestone plinth is included around the perimeter of the dwelling to provide aesthetic protection from rain splash to the brickwork. Additionally Danilith can also provide Bluestone surrounds to doors and windows to create a unique high quality finish to your luxury design. We know the importance of protecting your future investment. Today it's even more important to consider the resilience against the onerous effects of climate change in the 21st Century. As we progress into the future greater temperatures and weather extremes will place even greater demands on homes. The robustness and durability of concrete and masonry materials helps ensure a long life, with minimal risk of in-use damage to both structure and finishes. 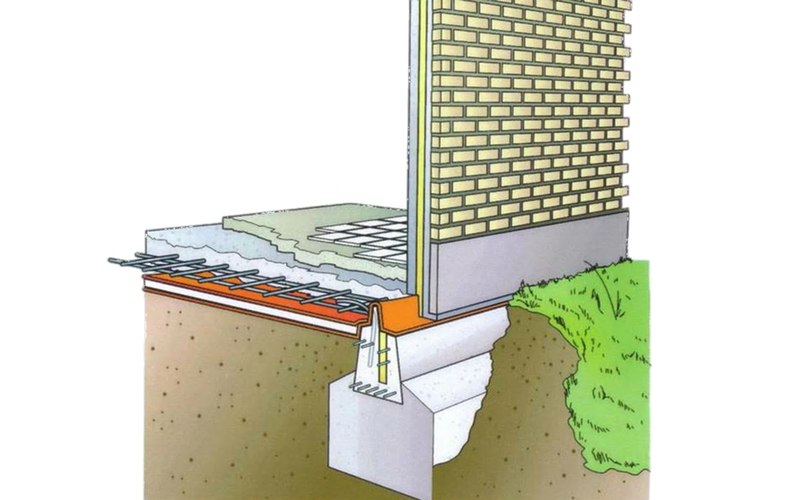 Inherent in the use of these materials is very good flood resilience, an important measure for housing in areas of increased risk due to climatic changes. Due to the strength of our construction longevity is assured. With our ten year manufacturers warranty you can remain confident that the investment in your home will last long into the future.